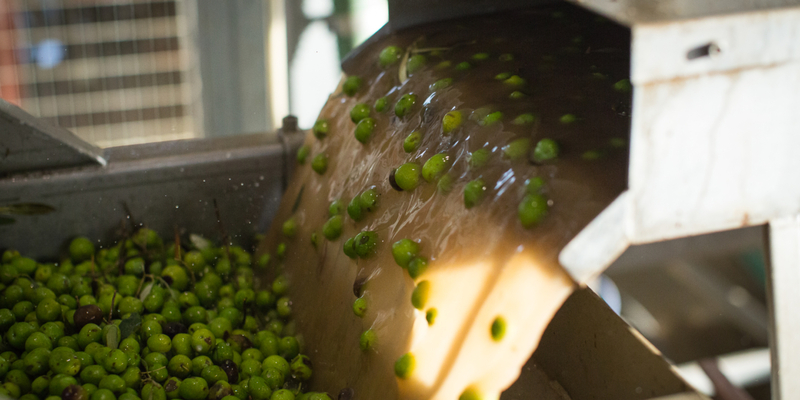 Our United olives are a 100% sourced, picked and pressed by the same hands that plant them. With over a 100 years of family operation, our olive oils are of the highest quality, flavor, and integrity. The winds of western Sicily give our Castelvetrano olives their unique green color, and lend all of our oils their earthy, peppery finish. 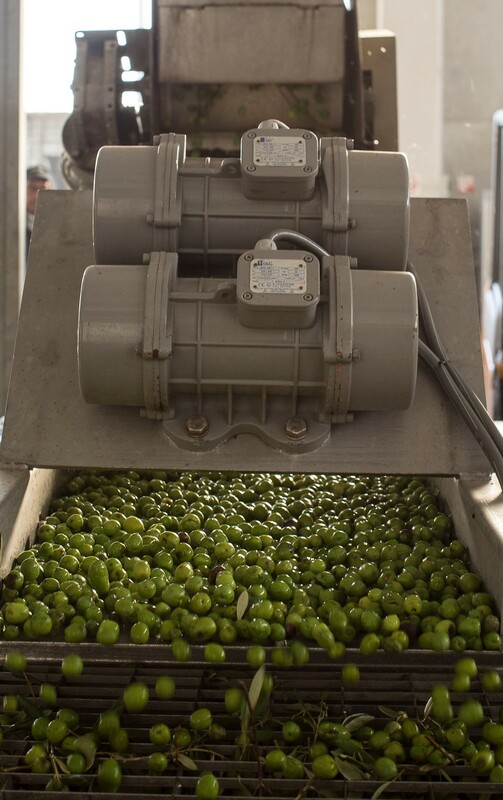 Once the fall harvest is ripe, our olives are handpicked to be washed, weighed and run through our state of the art machinery. This ensures that all soil, dust, and leaves are removed before a cold, clean, current of fresh water washes over all of the fruit. 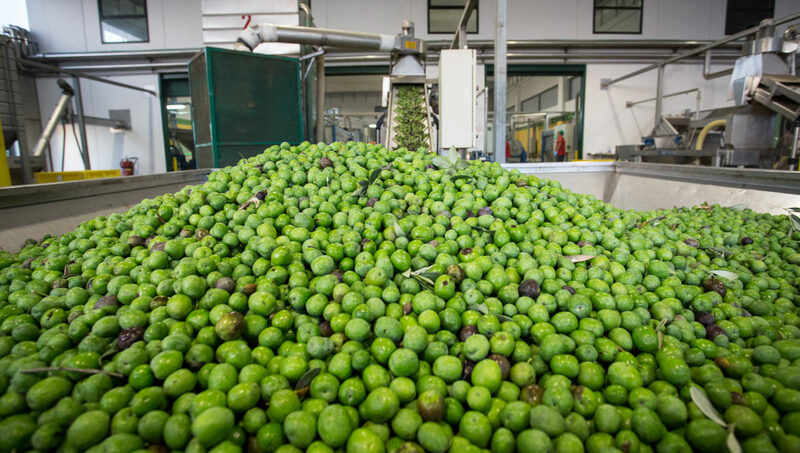 We are then left with our Sicilian olives in their purest form – ready to be crushed. Our washed olives are now ready to slide down the center belt of our machines for removing all the leaves before they will be crushed. Here, their meaty flesh will be torn apart, and it is this part of the process that helps facilitate the release of the olive’s natural oils. This traditional method of extraction that we have modernized on our farms is the best way to maintain the quality of all of our oils. Grinding is the middle, and perhaps most important part of the pressing process. 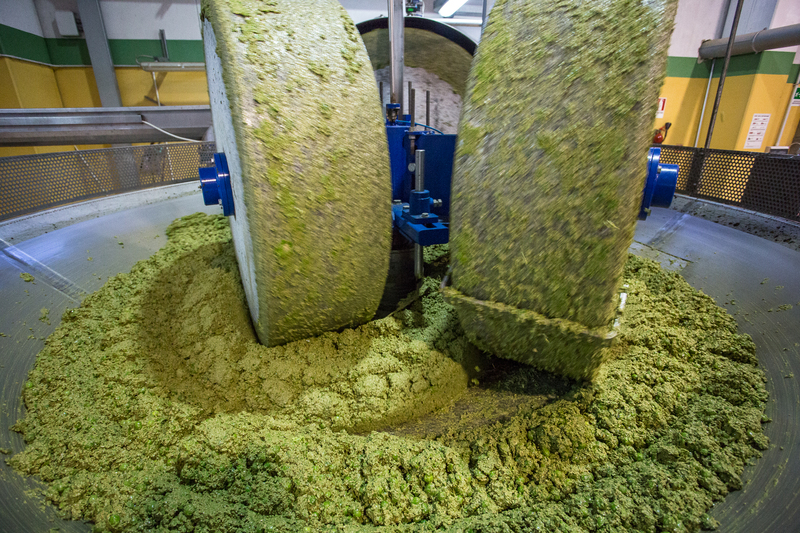 Here, large stones or stone mills use their weight and rotation to grind the olives without cutting their skin. This repeated action leaves us with a thick paste and luscious aroma, which will be quickly sent to the next phase for squeezing. Malaxing (mixing) the paste for 20 minutes allows small oil droplets to combine into bigger ones. It is an indispensable step. The paste is never heated or water added during this process, this results in enhancing the high quality of the oil. The most common mixer is a horizontal trough with spiral mixing blades. 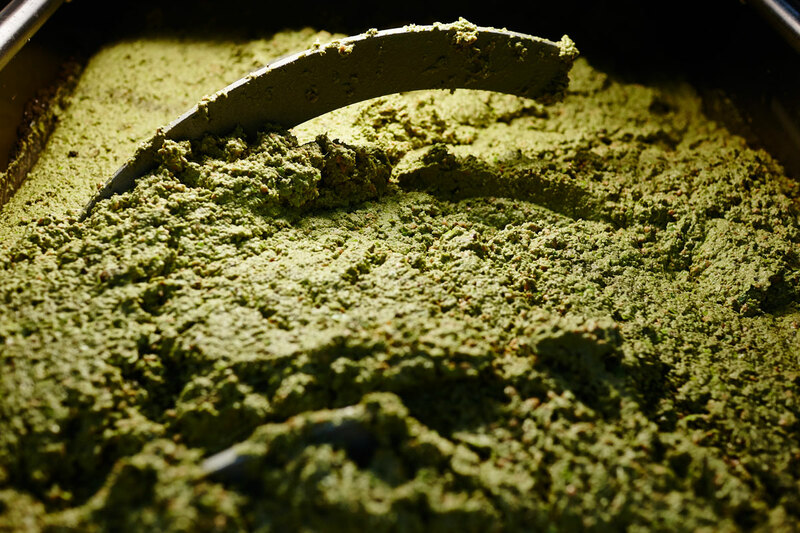 Making sure not to expose our olive paste to too much air, we press our olives almost immediately after grinding. 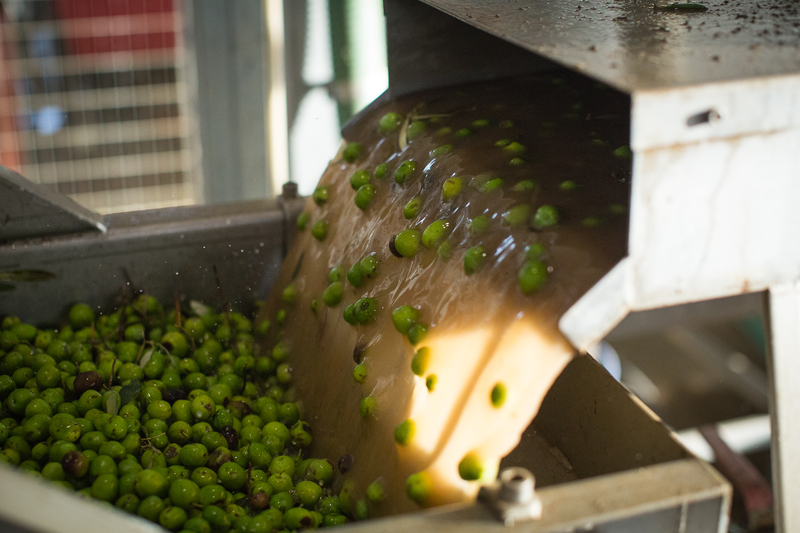 Here, at our farm we use heat as well as cold-pressing techniques to squeeze and achieve the texture, flavor and the blend we desire from our olives. 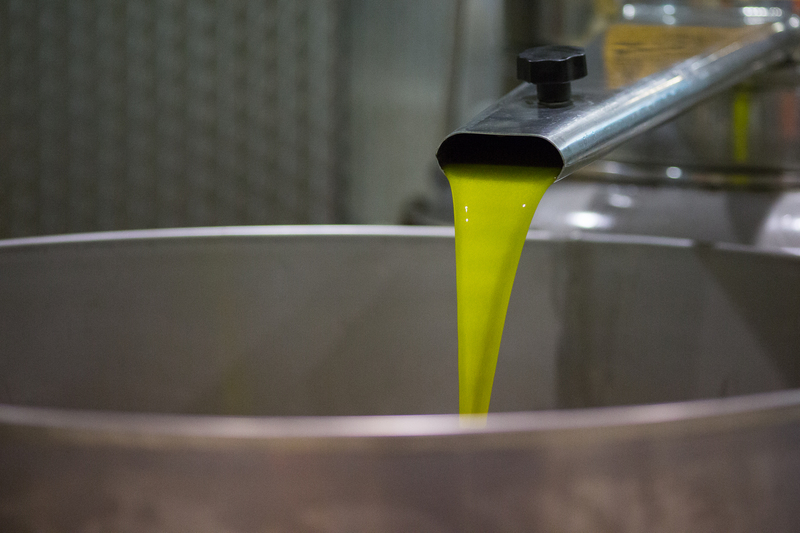 Extra-virgin olive oil refers to the oils that come from the very first pressing and is called unfiltered.